Recorder and Randsell Mi, the third anime season based on Meme Higashiya's four-panel manga Recorder and Randsell, will premiere in Japan this July. 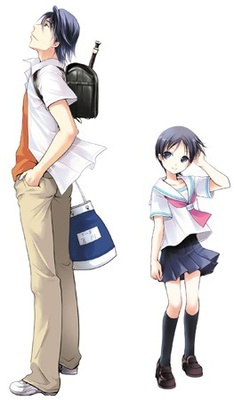 Higashiya's story revolves around Atsushi Miyagawa and his sister Atsumi Miyagawa. Atsushi looks like an adult at 180 centimeters (about 71 inches) tall, but he is actually an elementary school boy. Atsumi looks like a little girl at 137 centimeters (54 inches) tall, but she is actually in high school. The manga launched in Takeshobo's Manga Club Original magazine in 2007, and it also runs in Takeshobo's Manga Life Original magazine.